If you have been looking for a unique Christmas gift idea for your kids then you definitely need to check out these kids subscription boxes by Pley. 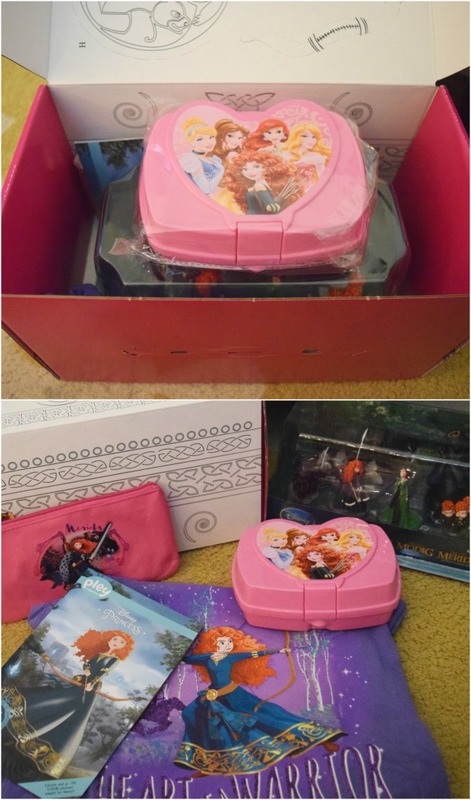 The first box I want to tell you about is perfect for your little Disney princess-loving girls. Pley teamed up with Disney to create this bimonthly subscription box for kids. Each box will include 4-8 Disney products which could include items such as apparel, accessories, toys, and more. The Disney Princess PleyBox costs $24.99 + $5 Shipping (Box ships every other month). 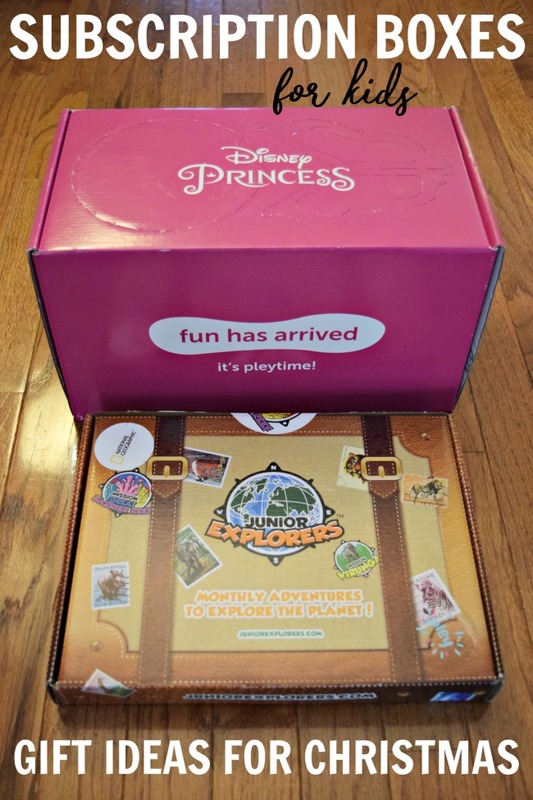 In the box, you will get 4-8 official Disney products, a magazine with a princess story and activities, and the box itself turns into a fun DIY activity. The value of this box retails for over $50 which is a great deal in my book. This month’s box was Merida from Brave. It came with a pencil pouch, plastic container, t-shirt, activity book/story, and the minifigure set. The second box I would like to tell you about is one for little adventure lovers. The National Geographic Kids Pley Box. This box is a monthly mystery box that is filled with unique items that teach about animals, nature and our world. Your child will travel to new countries every month on a mission to solve mysteries by using the games, activities and interactive lessons. Each National Geographic Pley Box provides 5-10 hours of learning and pure fun. This box costs $19.99 + $5 shipping. This month’s box featured the Great Barrier Reef. 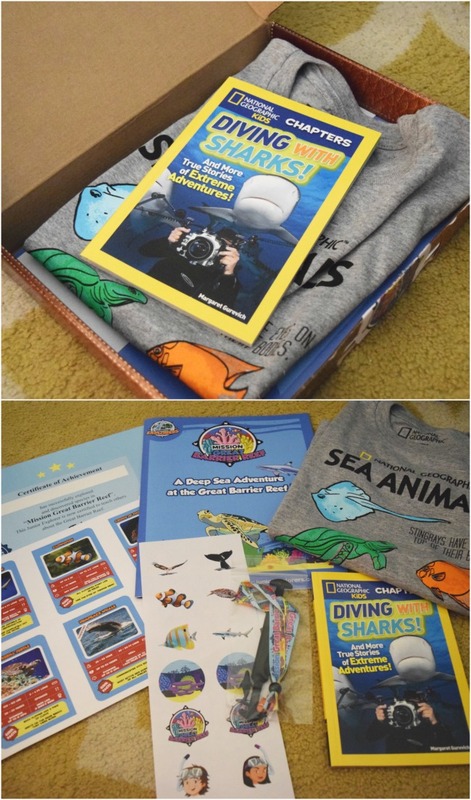 It came with a great book on sharks, stickers, bracelet, 2 little animal figures, t-shirt, activity book, and the interactive cards to go with your online game. The online game is really cute and interactive and allows your child to learn all about the Great Barrier Reef. This offer will be available between October 27th-October 31. Stocking Stuffer Ideas; Gift Ideas for Men, Women, Kids & Teens!